I had heard this book in passing maybe a year ago or so when I was looking up books translated to English from Finnish (or any recent Scandinavian literature, actually). The premise sounded interesting but it was only a few months ago that I got around to checking it out. It falls more on the dystopian side of literature, but still works for this month’s Sci-Fi event as it’s set in a future ravaged by climate change. Stardust (review) — A great entry point to his books IMO (also happened to be my first Neil Gaiman novel, lol). It seems like standard fantasy fare, but once you start reading you realise it’s so much more than that. Character types and story tropes are turned inside out and the whole adventure was just wonderful and interesting. 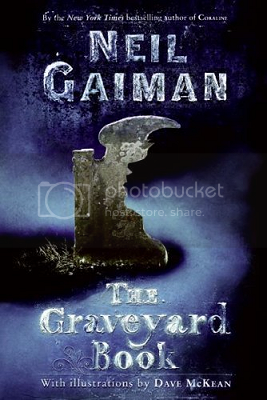 Neverwhere — This was my second Gaiman read and in deciding which of his adult titles to add to this list of recommendations, it was the easiest to recommend. It’s like an urban fantasy version of Alice in Wonderland, with our main character Richard getting drawn into Neverwhere and the politics, the magic, and the adventure involved there. I found out last year that he released his definitive edition of this book which I still have yet to read but I think it’s awesome that it’s available. Coraline (review) — Only recently got around to reading this book late last year, I can see why it’s a favourite. It will appeal to both adults and children because of the adventure and the mystery surrounding Coraline’s situation–the doorway to another house with another mother and another father–but also with themes of growing up, of bravery and loneliness. Plus, it’s pretty creepy at times, which makes for a great Hallowe’en read! I hope this list helps if you’re interested in checking out Neil Gaiman’s books for the first time! What do you think? What’s your favourite novel by him? Which would you recommend for first-time readers? Or which books by her have you been meaning to check out? The Reckoners is technically the last series by Brandon Sanderson I haven’t read anything from until now (I don’t count The Wheel of Time). The book was on sale when the last in the trilogy, Calamity, was released earlier this year so I finally picked it up with plans to read it.